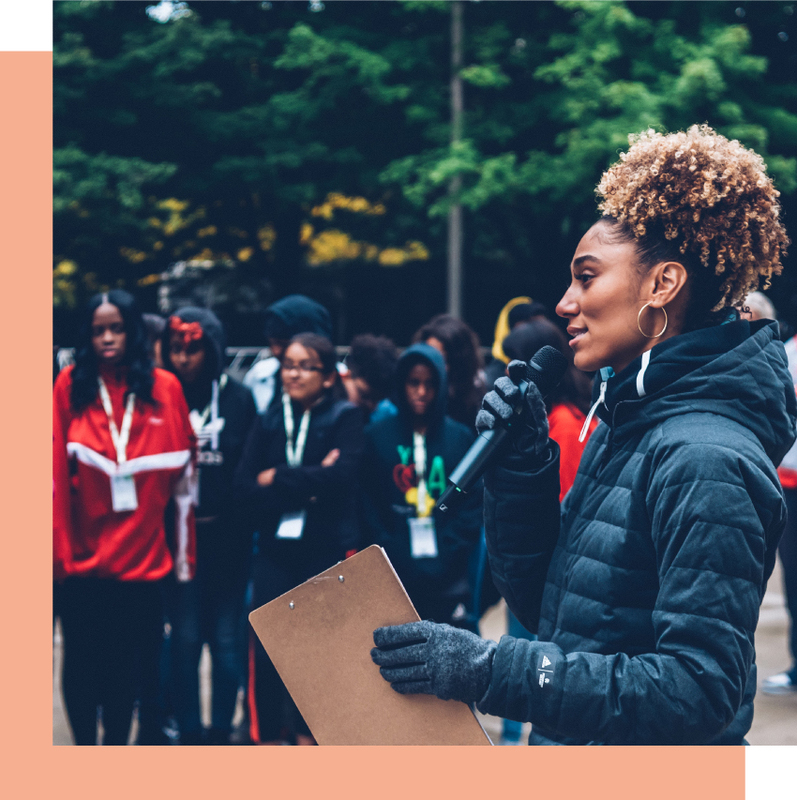 Love Squad is an inclusive community using empowerment to champion diversity and inform through panel discussions and experiences to motivate our community to lead healthy lives and unleash their power. We are excited to bring our latest apparel to our community near and far. We believe that the Love Squad mission extends beyond our events and is one we can all embody and rep proudly in our daily lives. Time to Marie Kondo your Instagram Feed! Ally Love wears multiple hats: TV Host, Model, Creative Director, Producer, Writer, and Fitness/Dance Guru. She is known to break the rules to empower others through positivity, motivation, and confidence. 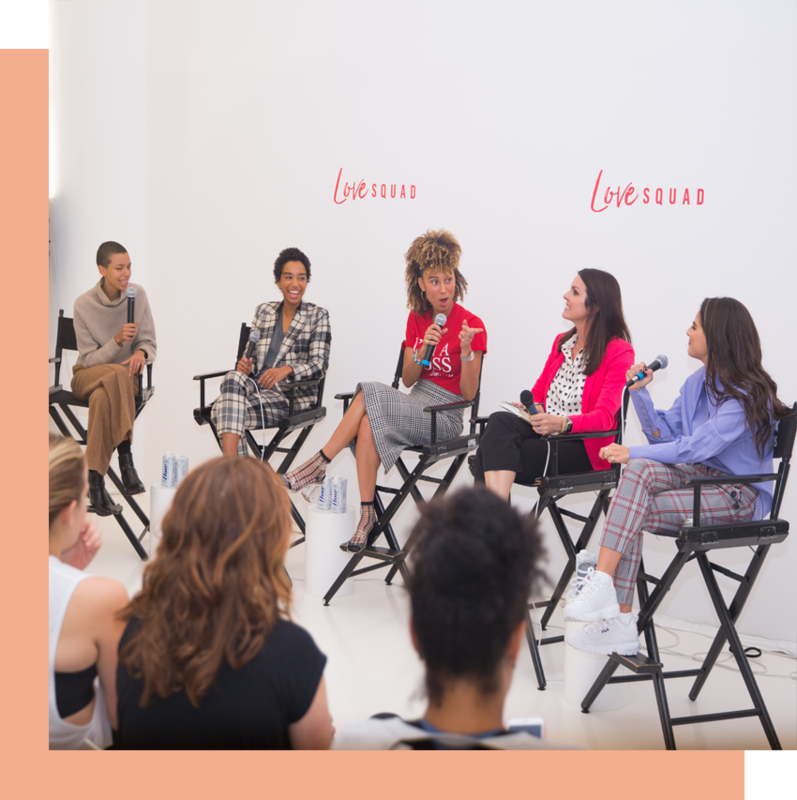 Ally created Love Squad as a space where real conversations and change can occur through monthly events where she hosts and moderates panels around women empowerment. She believes that our differences make us unique but our will to be better brings us together. A time for us to connect our squad through conversations, hands-on experiences, and curated content that will affect how we navigate life. Providing insight through demonstrations, activities, and maybe a way to get down right sweaty. An intimate conversation for our community to experience dialogue with experts up close and personal and discuss important topics, in detail. This event is created in order to provide a space for our members to feel safe and supported. The bigger of the three events, our Series are an opportunity to connect our community to our network, friends, sponsors and partners through conversation, discussions + experiences on a larger scale. We get excited to create together!